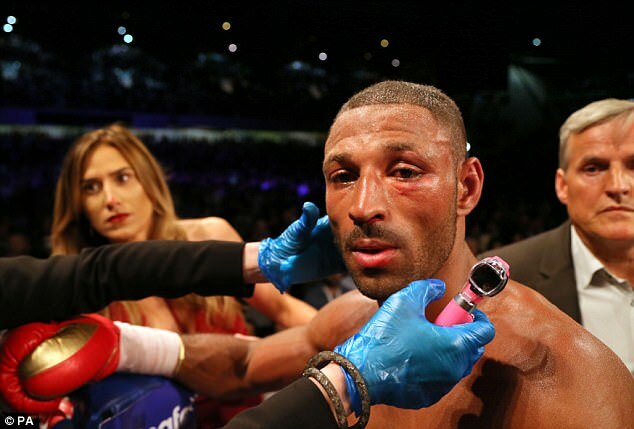 Kell Brook faces surgery to repair the damage to his left eye socket after he was beaten by Errol Spence on Saturday night. The Sheffield boxer lost his homecoming fight to the American with the fight stopped in the 11th round at Bramall Lane. 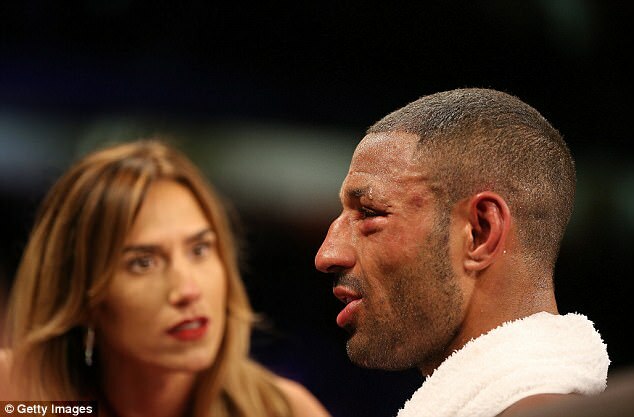 Brook suffered a broken eye socket for the second time in as many fights following his defeat by Gennady Golovkin in September last year. He admits he was left with no choice but to throw in the towel in his hometown. 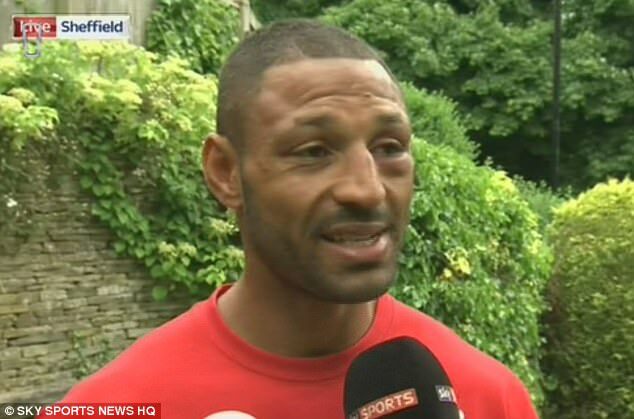 Speaking on Sky Sports News on Sunday morning he said: ‘I had a CT scan on my eye and the eye’s broken again, same as the Golovkin one, so I need surgery again. Devasted. ‘I remember the surgeon saying last time after the Golovkin fight I could have gone blind if I’d had one more round so I had that in my mind. ‘I had to stop. Pride was leading the way but when I got caught in the 11th and it wouldn’t come back into line. The 31-year-old admitted he knew he was endangering himself if he had carried on: ‘He was coming on strong and I knew he is a very sharp shooter, a very good fighter and I knew it could be fatal with some of the shots he was chucking in so I went down on one knee. 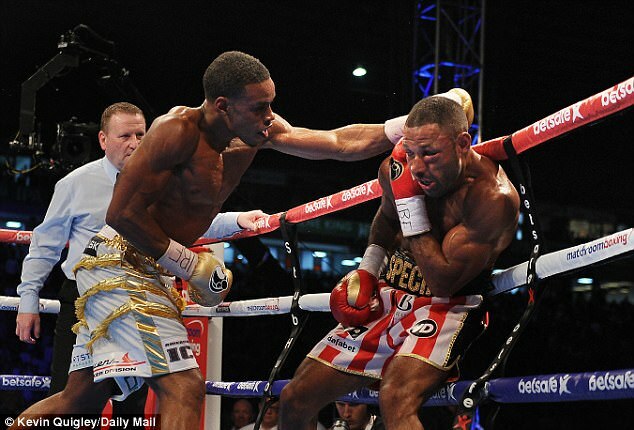 ‘I knew from round seven that the eye had gone and it progressed as the rounds went on,’ he continued.